Where to stay in Tongariro National Park? We get it. You’d rather save your money for hiking the Tongariro Crossing, ripping the slopes of Mt Ruapehu or tearing the mountain biking trails than spending it on luxurious nights in hotels. With that in mind, here are some of the best backpacker hostels in Tongariro National Park! National Park Village, Whakapapa Village and Erua all have backpacker hostel accommodation with proximity to the western side of the Tongariro National Park. These are the closest places with budget accommodations to the Tongariro Crossing, Tongariro Circuit Great Walk, Fishers Track mountain biking trail, Whakapapa Ski Field and more. Meanwhile, Ohakune makes a great base for exploring the southern end of the Tongariro National Park, such as the Old Coach Road mountain bike trail, the Around the Mountain hiking track and Turoa Ski Field. So here are, what we consider, some of the best backpacker hostels in Tongariro National Park! In the town centre of Ohakune, LKNZ Lodge is in an ideal location for exploring Tongariro National Park’s mountain biking trails, hiking on Mt Ruapehu or skiing at Turoa. There are several modern lounge areas and kitchens, however, when you don’t feel like cooking there is an on-site cafe. Spa pools and bike hire are also available to purchase. A great base in National Park Village is Plateau Lodge. There are options for all kinds of budget travellers from dorm rooms to campervan power sites. Relax in the free indoor spa pool and make use of the Tongariro Crossing and Tongariro Circuit shuttle right from the door. Plus, there’s all the essential facilities you would expect in a backpacker hostel. An alternative base in the Tongariro National Park is Whakapapa Village. This tiny settlement at the base of Mt Ruapehu is close to the Whakapapa Ski Field, a whole range of walks and a quick shuttle away from the Tongariro Crossing. Skotel is the only backpacker accommodation in Whakapapa village but still a fantastic option with a ski chalet decor to get you in the mood for alpine exploration. Watching the sunset from Skotel is also a must. At “The Junction” end of Ohakune, Station Lodge can be found at the Ohakune Railway station. It is within walking distance to hiking tracks and bike trails. As for the hostel itself, Station Lodge is spacious yet has a homely vibe. Relax in the free spa pool or make use of the barbecue in summer (get inspiration from 5 Effortless Barbecue Meals to Cook in 15 Minutes). It might be a 15-minute walk from the town centre, but the riverside walkway into town makes it a treat or borrow one of their free town bikes to get there quicker. Hiking equipment hire, shuttle services to the Tongariro Crossing, an indoor climbing wall… YHA National Park has you all set for your time in Tongariro National Park. The backpackers, of course, has all the essentials expected in a hostel, as well as welcoming campervans to park up onsite. The YHA is easy to find just off the main highway into National Park Village. Plus, make use of the YHA discount if you are a member. For more info, check out BBH, YHA, BASE or NOMADS: What is the Best Hostel Network? Two large kitchens, lounge area, pool table and equipment hire: Howard’s Mountain Lodge has the ideal facilities and more. This budget accommodation in National Park Village has some of the best prices in town during the New Zealand shoulder seasons. As the name suggests, Ohakune Central Backpackers is ideally located in Ohakune town close to shops and services. Other than that, the hostel has free WiFi and a spa pool. Plus, a convenient kettle and TV in every room – even the dorms. Check Ohakune Central Backpackers out! One more location for your Tongariro National Park stay is Erua, a short drive from National Park Village. The Crossing Backpackers might be off the beaten track, but they offer pick-ups from the National Park train station and bus stop, so even without a car, you can go and enjoy the peaceful location of Erua. Ski Haus is a spacious hostel in National Park Village. Relax in the large lounge around the fireplace or play a game of pool with your travel buddies. There’s also plenty of off-street parking. If you are in Tongariro National Park to see the famous Lord of the Rings locations then why not complete the experience by staying in The Hobbit Motorlodge. The Hobbit Motorlodge is located on the road between Ohakune town and The Junction, neither here nor there. However, there’s plenty of room options in terms of budget accommodation, as well as mountain shuttle services, a spa pool surrounded by native vegetation and Sky TV. Check The Hobbit Motorlodge out! Finally, another budget accommodation in Ohakune with a bit of everything is the Ohakune Top 10 Holiday Park. 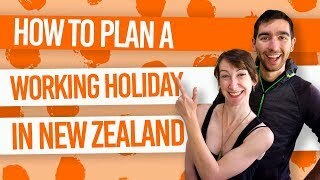 Check out what sort of holiday park facilities to expect in Accommodation Guide to Holiday Parks in New Zealand. Their Gypsy Caravans are kitted like a backpacker dorm making it another affordable option in Ohakune. Check Ohakune Top 10 Holiday Park out!